At Relocation Coordinates, we approach global mobility programs as a team. Our cohesive effort allows us to continuously deliver top quality service to our clients and their relocating employees. We are comprised of dedicated professionals who possess the integrity and extensive industry knowledge to develop and cultivate rewarding client partnerships. Our nimble approach, combined with innovative managers and consultants, allows us to identify methods to improve program efficiency, monitor competitiveness and determine cost containment strategies. We understand the importance of accountability. Every member of our team and extended network recognizes the significance of their part in any relocation. We believe that every person and service is pivotal to a successful relocation. Recognizing that we are an extension of our clients; we never lose sight of imparting a professional yet nurturing demeanor to their employees while delivering service excellence. We are committed to our people and how we serve our clients. Our ever-evolving culture promotes communication and teamwork because we find that the most innovative solutions come from collaboration and perseverance. We tackle complex issues by relying on our diverse talent and experiences. Our company is dedicated to integrity, accountability, discipline and excellence. We believe our positive and rewarding work environment is also reflective in our interactions with our customers and the value we bring to their relocation experience. As the President of Relocation Coordinates International (RCI), Sue is committed to developing and executing RCI’s global mobility strategy. This includes overseeing global account management, implementing technology and program enhancements, and maintaining a valued supply chain. In 2012, RCI merged with Relocations West, a full service global mobility company founded by Harrington. She was appointed as the Vice President of Business Development, which resulted in dramatic corporate growth until her promotion to President in 2017. Sue served as a Human Resources Executive for several Fortune 500 companies and prior to her career in relocation she was an experienced traveler and appreciator of cultures. 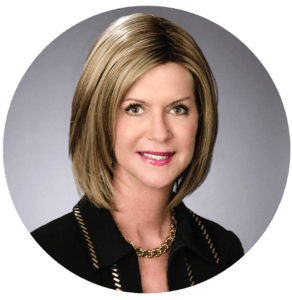 Sue’s professional and personal background, coupled with her commitment to servicing her clients with the upmost integrity and ingenuity, allows her to provide a unique leadership vision. Let RCI provide a helping hand to manage the challenge of moving to a new city. Our relocation experts can be reached by calling 1-866-915-8631.